Why build from scratch when you can start with a completely professionally designed website on day one? It's easy to change to a new theme in one click. All your content gets transferred seamlessly. 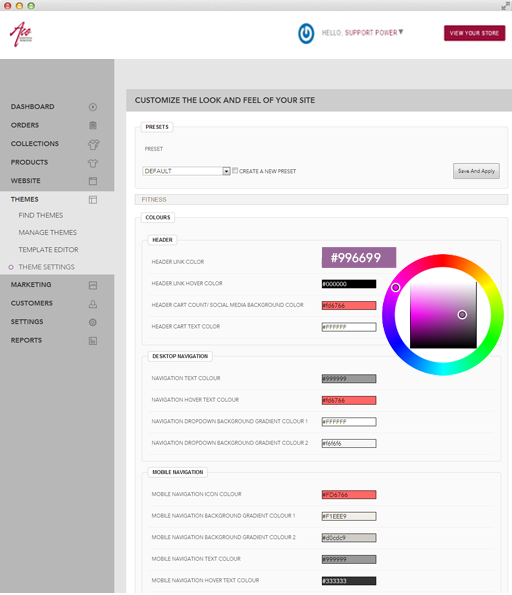 Anyone can completely customize the colours and content of your site through our easy-to-use tools. You're not limited to our themes and services. Our Fluid templating language allows you or any HTML developer to fully customise your store's design. We are constantly making Ace better. Upgrades happen seamlessly in the background, without any effort, pain, or cost to you. Create loyal customers by allowing them to earn points on every purchase and redeem those points for discounts on their next purchase. Keep customers coming back to your store! We provide detailed reports on order activity, visitor stats, referral sites, and everything else you need to know about your site. Segment and create lists of customers and easily export, for email campaigns and more. View orders, process orders and keep customers informed of their order status. 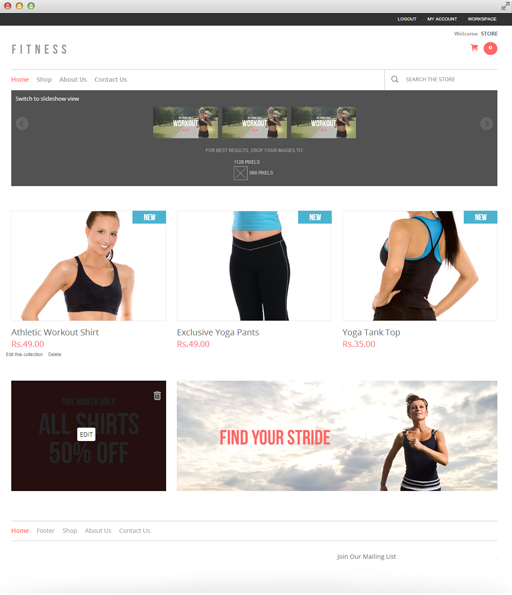 Easily create new products, tag products, upload product images, set pricing. Multiple variant support and more. Use smart collections and rules to group products together dynamically. Create categories that make sense to you and your customers. Explore new and exciting features and functionality that can be easily added to your Ace in minutes. Ace can help your brand engage customers (and their friends) where they socialize - Facebook, Twitter, Google+, YouTube and LinkedIn - and convert them into shoppers on your site. Ace brings you a secure, on-demand, scalable & affordable hosting service. Leverage the experience and reliability of Amazon.com. Ace offers hosting services so you avoid setting up and managing your own hosting. No need to purchase and configure your own hardware. You pay only for the computer power, storage and other resources you use, with no long-term contracts or up-front commitments. With Ace hosting services, you take advantage of a scalable, reliable, & secure global computing infrastructure. We use the virtual backbone of Amazon.com's multi-billion dollar retail business. With our state-of-the-art technology, auto-scaling and elastic load balancers, your server requirements can be scaled up or down based on demand. You have access to computing and storage backed by Amazon's massive infrastructure.